Jones was born on May 17, 1893 in Cincinnati, Ohio. His mother died when he was nine, and he was forced to drop out of school. A priest in Covington, Kentucky, raised him until he was sixteen. Upon leaving the rectory, Jones began working as a mechanic’s helper at the R.C. Crothers Garage in Cincinnati. Jones would spend much of his time observing the mechanics as they worked on cars, taking in as much information as possible. These observations, along with an insatiable appetite for learning through reading helped Jones develop an incredible base of knowledge about automobiles and their inner workings. Within three years his skills and love for cars had netted him a promotion to shop foreman. Over the next few years he would invent more and more innovative machines. When one of the doctors he worked for complained that he had to wait for patients to come into his office for x-ray exams, Jones created a portable x-ray machine that could be taken to the patient. Unfortunately, like many of his early inventions, Jones never thought to apply for a patent. He watched helplessly as other men made fortunes off of their versions of the same device. Impervious, Jones began new projects including a radio transmitter, personal radio sets, and eventually motion picture devices. In 1927, Joseph Numero, the head of Ultraphone Sound Systems, hired Jones as an electrical engineer. Numero’s company made sound equipment that was used in movie houses throughout the Midwest. Always the innovator, Jones converted silent-movie projectors into talking projectors by using scrap metal for parts. In addition, he devised ways to stabilize and improve the picture quality. 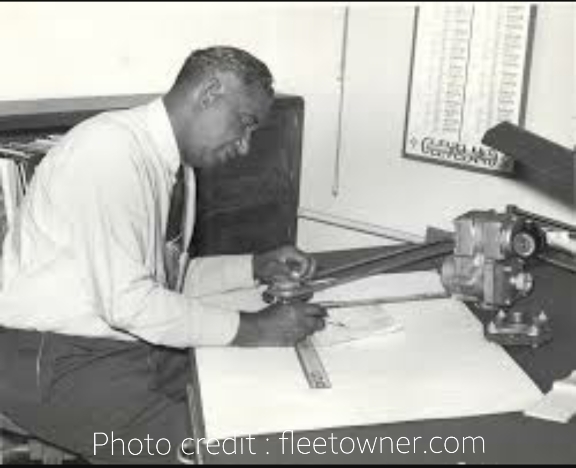 In 1939, Jones invented and received a patent for an automatic ticket-dispensing machine to be used at movie theaters. He later sold the patent rights to RCA. Eventually, Numero and Jones formed a partnership called the U.S. Thermo Control Company, with Jones as vice president. He was given the task of developing a device that would allow large trucks to transport perishable products without spoiling. Jones set to work and his automatic refrigeration system, the Thermo King, was born. Eventually, he modified the original design so it could be outfitted for trains, boats, and ships. The Thermo King transformed the shipping and grocery businesses. Grocery chains were now able to import and export products that previously could only have been shipped as canned goods. As a result, the frozen food industry was born and for the first time consumers could enjoy fresh foods from around the globe and U.S. Thermo became a multimillion-dollar company. During World War II, a need for a unit for storing blood serum for transfusions and medicines led Jones into further refrigeration research. For this, he created an air-conditioning unit for military field hospitals and a refrigerator for military field kitchens. As a result, may lives were saved. A modified form of his device is still in use today. In 1944, Jones became the first African American to be elected into the American Society of Refrigeration Engineers. During the 1950s, he was a consultant to the U.S. Department of Defense and the U.S. Bureau of Standards.